Supports the need to divide a rectangular shape in a way that appeals to natural composition. 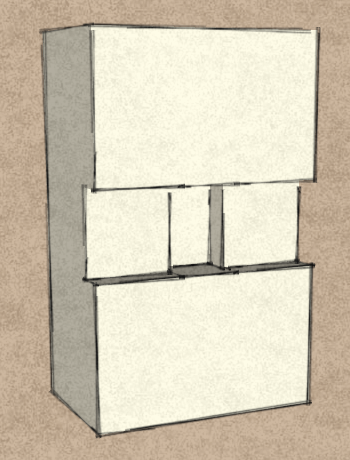 Consider using rabatment: divide the rectangle into one or more squares based on the shorter side. It is postulated that the eye tries to do this naturally, so this plan for division seems pleasing. The follow example uses rabatment from both the top and bottom of the front face of the rectangle, creating a central rectangular area where the two squares overlap. 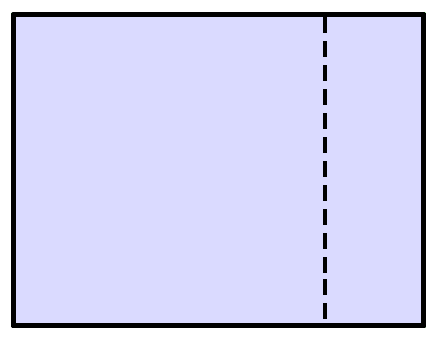 Rabatment is then applied to the left and right of this central rectangle, this time without overlap.